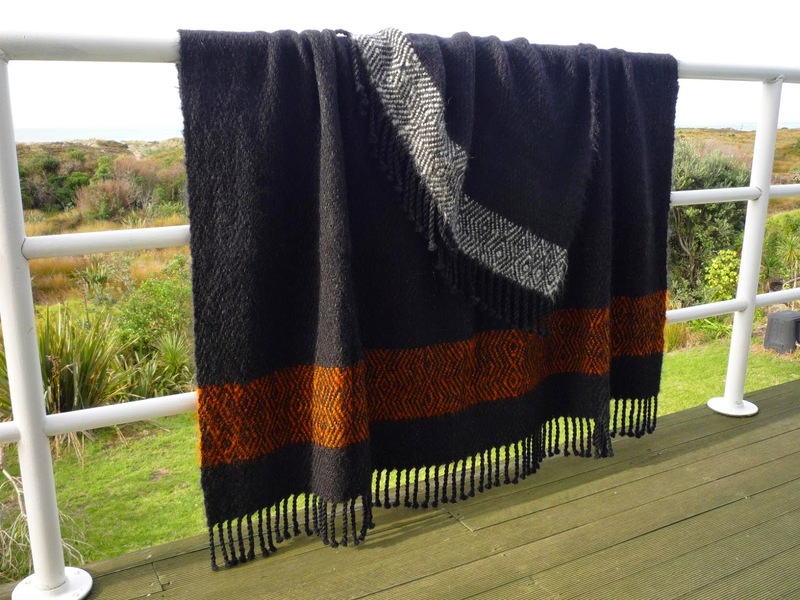 Some time ago I was asked by a friend to make a Korowai for Isabel to wear on the marae and be warm. It was decided the Huia bird would be the inspiration. 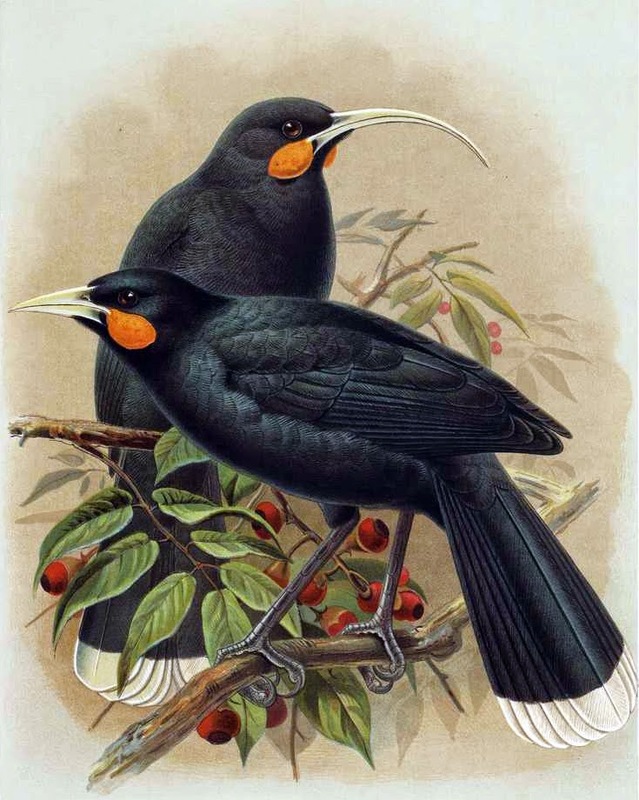 The Huia was sacred to the Maori and the wearing of its skin or feathers was reserved for people of high status. Its numbers were on the decline when Europeans settled in New Zealand. It was a rare bird treasured for its plumage. It had a bold and inquisitive nature. It wasn't good eating but its tail feathers were valued highly and exchanged among tribes for goods such as pounamu and shark teeth. It became popular for taxidermied species in European museums which hurried it to its extinction. 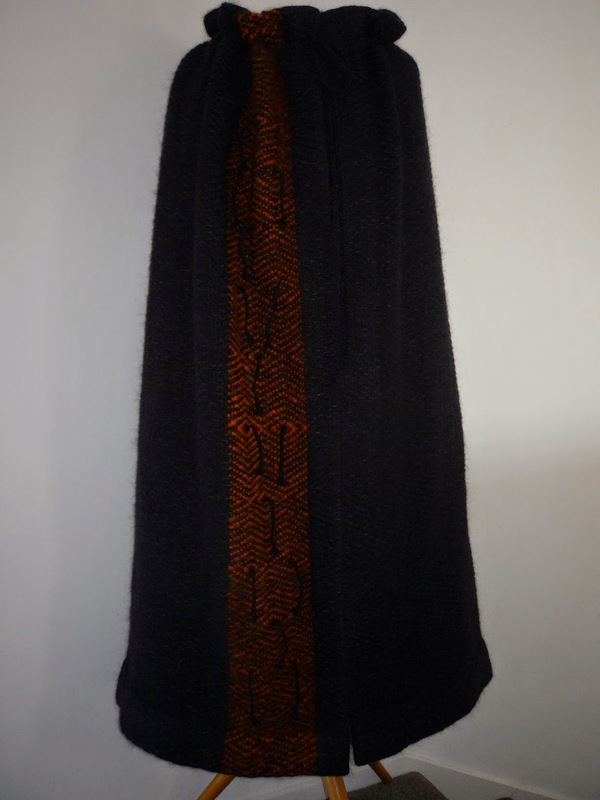 I started with a blanket which has found a loving home. Its taken a few iterations to get the cloak the way I wanted. which worked better visually but when I tried it on it was a pain to get sitting right. 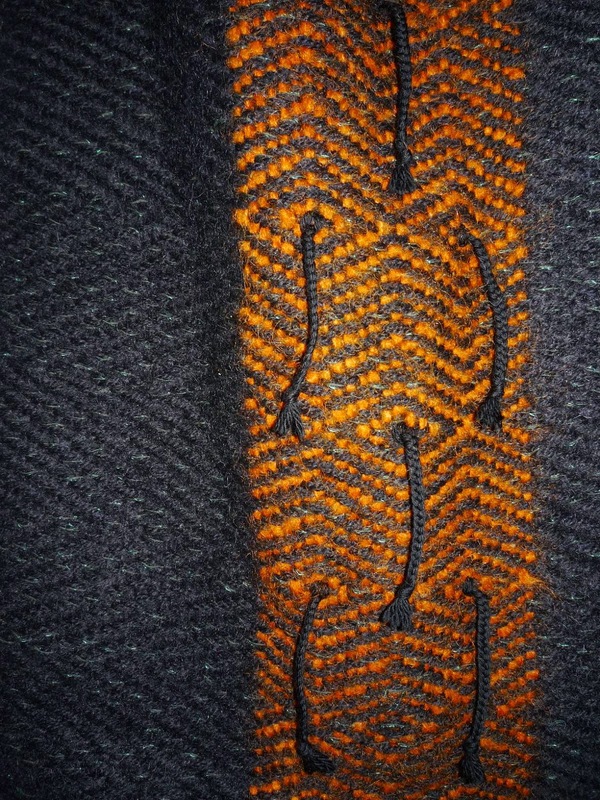 I undid the hems, facings and front edge and turned the white band to the inside and now the focus is the rusty orange representing the Huia's wattle and you just get a flash of the white when walking or sitting. This must have been a heck of a satisfying project, Dianne Cograts! And I don't believe the SuperGold story; I looked it up. I think this is a fake ID. Hi Meg, The korowai was fun to work on. Glad to hear you are back at your looms. For instance I can get 10% off accommodation in Tokoroa. The cloak is amazing. 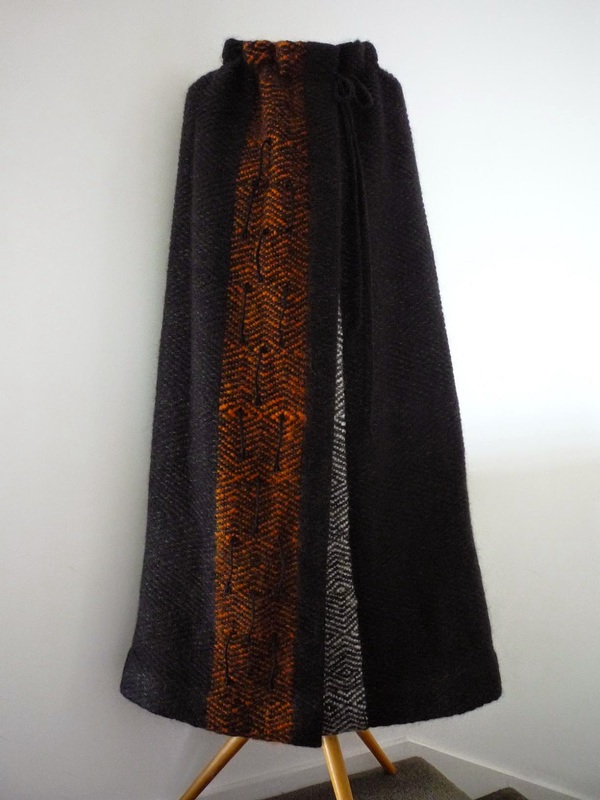 I bet woven cloaks will become the new fashion, instead of plucking bird feathers. 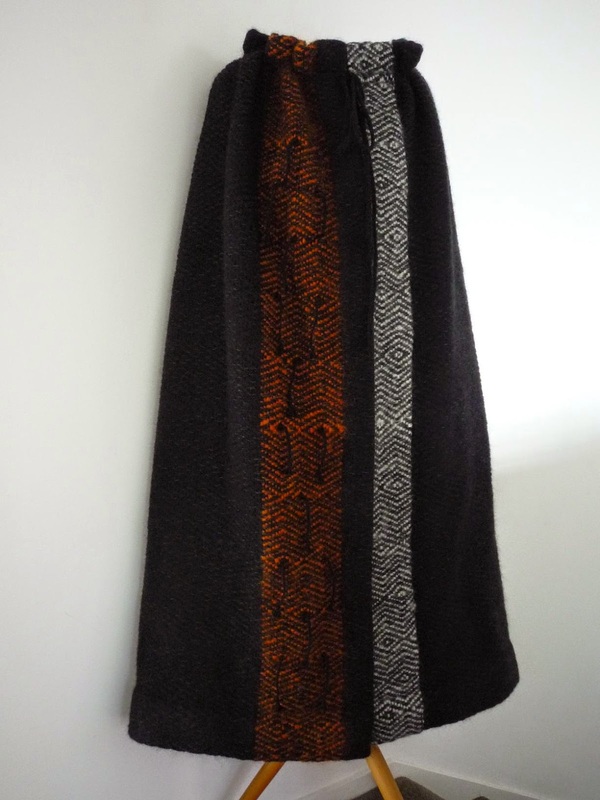 What a great project and I loved learning the inspiration story...lovely cloak.